When you are choosing a veterinary provider, you should be able to count on superior care and excellent service. 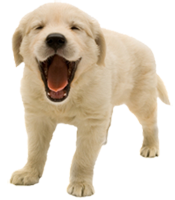 At Needham Animal Hospital, we strive to bring you the best possible healthcare for your pet. Call 910-799-2970, or use our Request an Appointment tool, to schedule an appointment and we will find a time that is convenient for you. When you schedule, we will ask you some basic questions so that we can start a chart for your family. Alternatively, you can fill out our New Patient Intake Form or come to your appointment early so there is time to get you into our system. You can ask your previous veterinary office to email or fax your medical records to us ahead of your appointment, or we would be happy to contact them for you. Having your pets previous medical records at the time of your appointment can save you time and money. Bring in any journal of your pet's health and behavioral issues if you've kept one. If not, let us know everything that you think will be important.